This coin is slightly larger than a quarter. Approx 28mm. 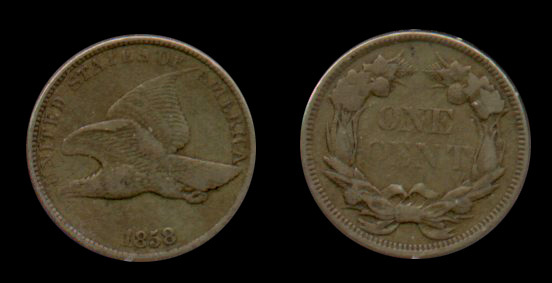 Only minted from 1856 until 1858. This one is the "Large Letter" variety. Designed by James Longacre. All coins struck in Philadelphia. Despite Picture size, this is only the size of a normal penny. Issued from 1859 - 1909. Designed by James Longacre.